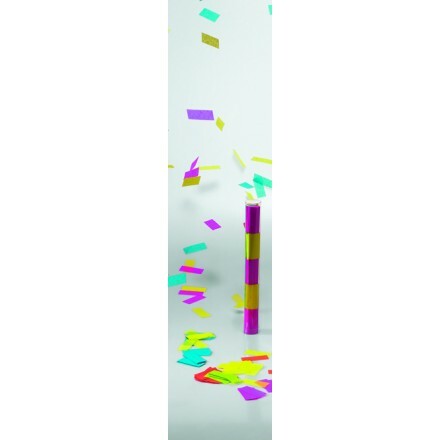 Our manual confetti canon is perfect to give an exploding effect, throwing in the air about 5 metres long! Rectangular shape and soft tissue paper give a special effect as some real butterflies and you can choose color which corresponds to your wedding celebration, garden party, baby shower, birthday and all occasions! manual canon flame-resistant tissue paper 50g CHOOSE YOUR COLOUR Instructions for use : 1) Pull out the cork 2) Hold the tube and extend your arm 3) Move it back and forth energetically. 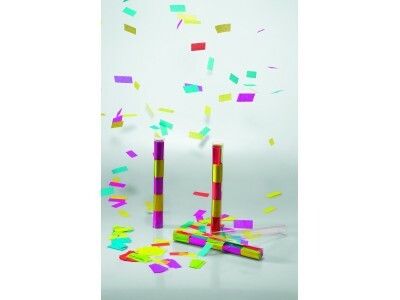 Confetti throwers from 4 to 5 meters! 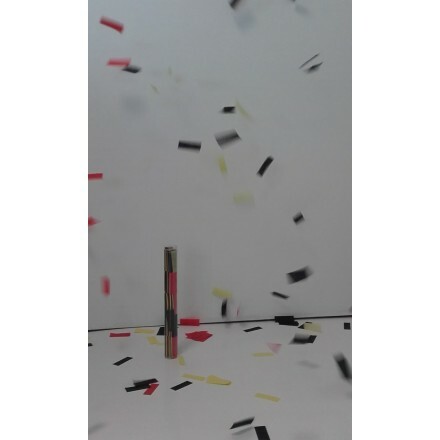 Black yellow & red tissue paper confetti canon. Flameproof, this satin wrap tissue paper is high quality and bright colours. Without any gas, you will have a confetti thrower of about 5m long. Not dangerous as manual.